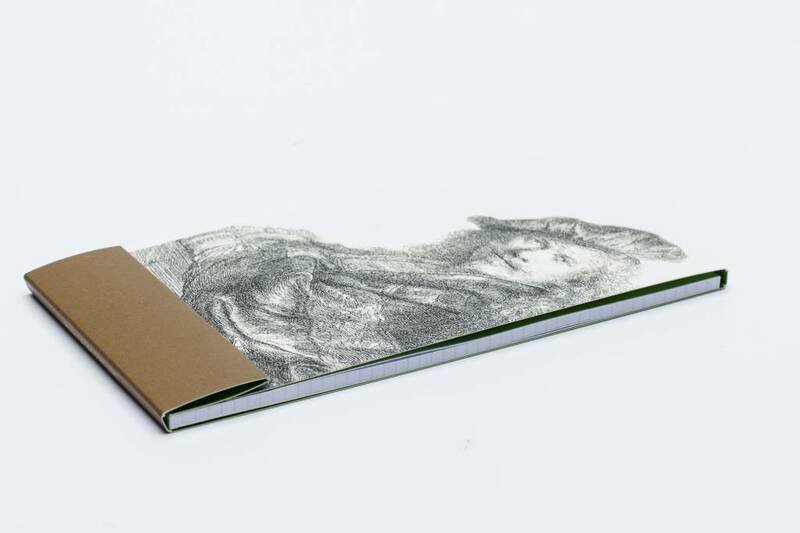 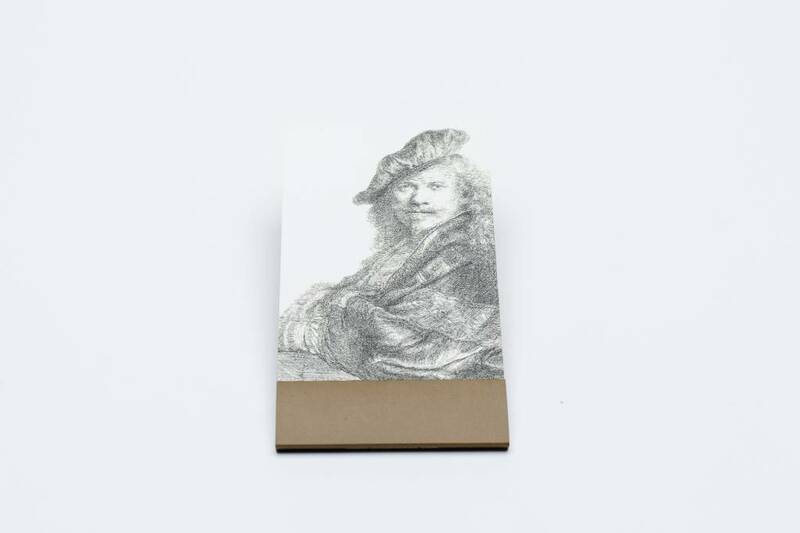 Small notepad Rembrandt, Self-portrait, leaning on a stone sill, B21, 1639. 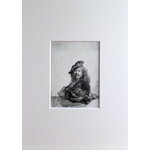 Here Rembrandt has depicted himself as a grand-seigneur. 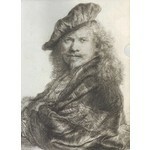 The pose is borrowed from famous Italian masterpieces by Titian and Raphael. 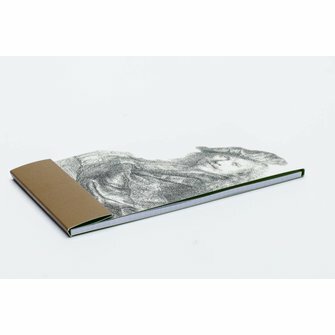 The notepad is 6.7 x 12.5 cm and has 25 leaves.